Located along the Chao Phraya River, one of the world?s most famous urban waterways, Four Seasons Hotel and Private Residences Bangkok at Chao Phraya River is part of a dynamic new riverside development that includes 299 guest rooms and suites, vibrant restaurants and bars, as well as a 73-storey tower with 366 private residences. 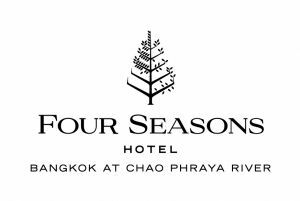 Founded in 1960, Four Seasons continues to define the future of luxury hospitality with extraordinary imagination, unwavering commitment to the highest standards of quality, and the most genuine and customized service. Currently operating 109?hotels and private residences in major city centers and resort destination in 43 countries, and with more than 60 projects in development, Four Seasons consistently ranks among the world?s best hotels and most prestigious brands in reader polls, traveler reviews and industry awards.